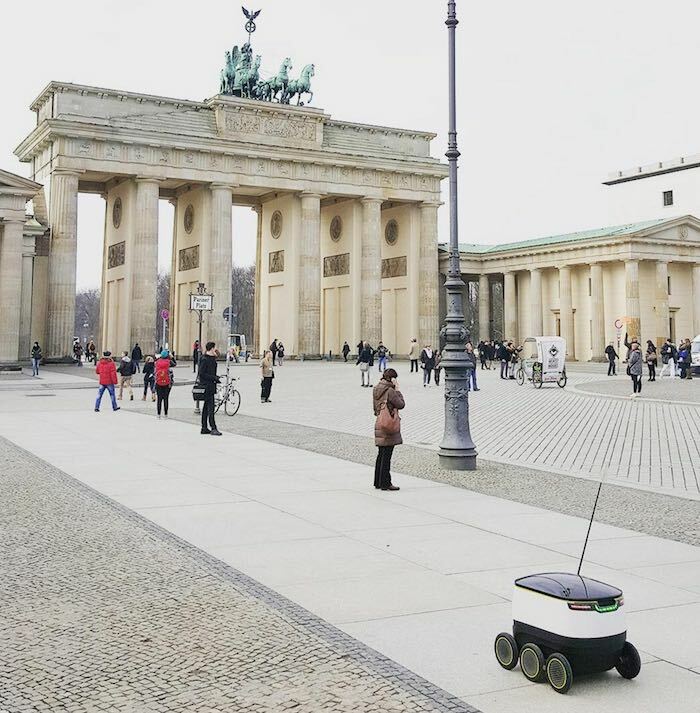 Starship Technologies is launching a fleet of autonomous delivery robots on the pavements of the United Kingdom, Germany and Switzerland as part of the testing program. A similar program will be announced for the United States shortly. The largest European food delivery company Just Eat, leading German parcel delivery company Hermes, leading German retailer Metro Group, and innovative London food delivery startup Pronto will test the delivery robots developed by Starship Technologies, a company launched in 2014 by Skype co-founders. As part of the program, dozens of robots will be deployed in five cities to run first test deliveries and introduce the innovative devices to the general public. “By launching partnerships with major companies we will enter the next phase in our development. While Starship has been testing the robots in 12 countries in the last nine months, we will now develop know-how on running real robotic delivery services,” said Ahti Heinla, co-founder, CEO and CTO of Starship Technologies. Robots developed by Starship Technologies are meant for delivering packages, groceries and food to consumers in a 2-3 mile radius. The robots can drive autonomously while being monitored by human operators in control centers. Introduced to European and American cities since the end of last year, the robots have already driven close to 5,000 miles and met over 400,000 people without a single accident. The test programs will run in London, DÃ¼sseldorf, Bern and another German city to start, before moving to several other European and American cities. Starship Technologies will also continue testing in Tallinn, Estonia where its R&D facilities are located. Robots can definitely take human jobs that are repetitive. In agriculture too they can create a new revolution. Software bots are also all over the internet now: writing web applications, software, data extractors, etc.